Getting hit by another vehicle can be the most frightening thing you go through. When this happens and you breathe a sigh of relief realizing that you’re not injured, your immediate train of thought needs to focus on getting your vehicle fixed. Choosing a top notch auto body shop will help you do this. If you are looking for where you can find an auto body shop in Vaughan, then Pfaff Autoworks is the place for you. In this article, we will be talking about the importance of finding a quality auto shop, like Pfaff Autoworks, to take your damaged vehicle to for repairs. Location is everything when it comes to finding a great auto body shop. Find a shop in close proximity to you lets you easily follow up in person. The shop’s geographical location also plays a role in your overhead costs. If you live in the Vaughan area, then Pfaff Autoworks is just a short drive away. With our knowledgeable and experienced technicians, combined with our state of the art equipment and machinery, we are well equipped to handle a large variety of different repairs. Cosmetic details separate the subpar auto body shop from the cream of the crop. Take a few meetings with shops in your area to get photos and videos of their prior auto body work. Pay close attention to details that make the vehicle look completely new. In many cases, these details boil down to the shop’s access to high-quality OEM parts. At Pfaff Autoworks, we take quality to a whole other level. Our technicians are use to working with all kinds of high end vehicles with high end technology and parts. We understand that your vehicle is an important investment to our clients, and we take this to heart when we are administering vehicle repairs. You should only leave your vehicle in the hands of an auto body shop that can back its claims with certifications. Pfaff Autoworks is a VeriFacts-certified collision repair centre. VeriFacts, the only independent third-party verifier of excellence in collision repair, only endorses collision repair facilities that have proven and maintain a high level of quality. Independence means that no amount of money can buy an endorsement. Aside from professional certifications, you should pay attention to their reputation in the local area. Customer service is everything during this process because it allows you to get your questions answered, and keeps you in the loop on every step of your auto body work. Leaving your vehicle in the hands of a shop that operates by these standards lets you know that you’ll receive 5-Star work when you need it. 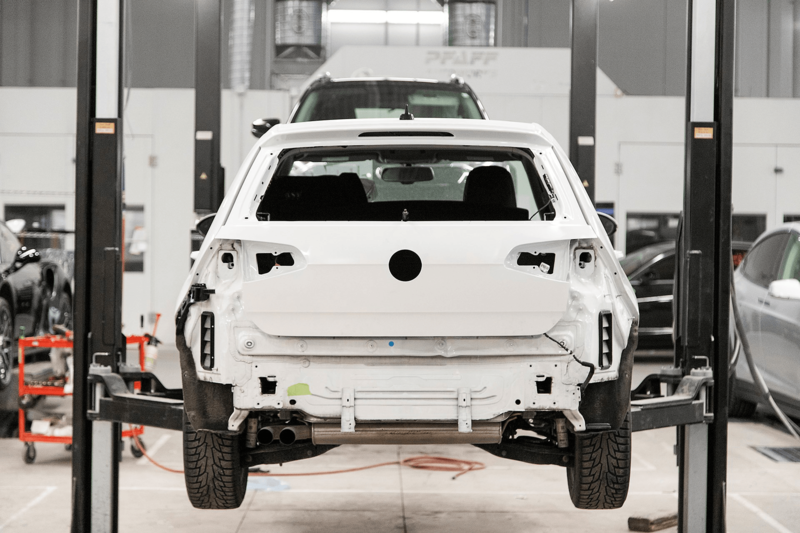 For more information about why you should choose Pfaff Autoworks as your auto body shop in Vaughan, please feel free to continue browsing through our website. Click here to find our contact information or to fill out our contact form.